On the outside, Mary Jane Fonder seemed like a kindly 66-year-old congregant of the Lutheran church in Springfield Township, PA. But inside, she longed for the church's handsome Pastor Gregory Shreaves, a former golf pro who sparked her most sinful thoughts. When Mary Jane let her feelings be known, the Pastor gently pushed her away. 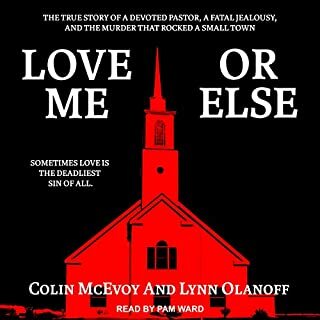 But her obsession only grew stronger when she became convinced that he was romantically involved with a younger church member, a woman named Rhonda Smith. Rhonda was doing volunteer work in the church office one day when she was shot to death. On February 27, 1859, Philip Barton Key II, the 40-year-old US attorney for the District of Columbia, was gunned down while standing in Lafayette Square, a public park across from the White House. 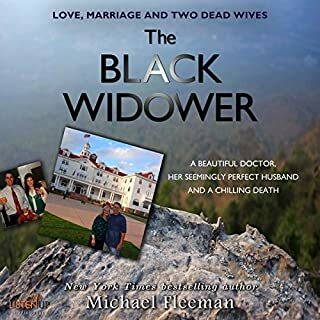 His killer was Rep. Daniel Sickles, a 39-year-old New York congressman and lawyer who had a striking young wife, Teresa Sickles, with whom Key had been having an affair. Upon discovering his wife's infidelity, Sickles became enraged and had the deadly encounter with her suitor. Afterward, he surrendered to authorities, confessed, was charged with murder, and went to trial. In spite of the cold-blooded and premeditated nature of the attack, Sickles used a defense of temporary insanity for his actions, the first such time this type of legal defense was employed in the US. He was acquitted as a result and the “temporarily insane” justification for homicide or other serious intimate-involved offenses became a common defense for so-called crimes of passion. Sickles, who was no stranger to public scandals and controversy, was able to effectively get away with murder. He would reconcile with his wife for a short time, continue a career in politics, and become a decorated soldier for the Union Army during the Civil War and a diplomat before dying in his 90s. His long life aside, taking the life of his wife's lover, Philip Key, in a fit of jealousy would forever remain a major part of Daniel Sickles' legacy, as chronicled in this compelling trip back in time of more than 150 years. 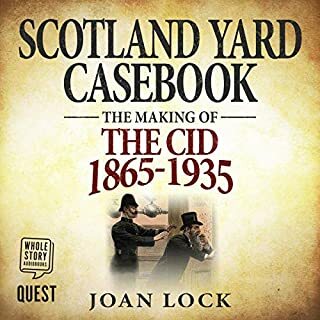 Bonus material includes a complete historical true-crime short, Dead at the Saddleworth Moor, and excerpts from the author's best-selling true-crime anthologies, The Dreadful Acts of Jack the Ripper and Murder and Menace: Riveting True Crime Tales, Vol. Three. 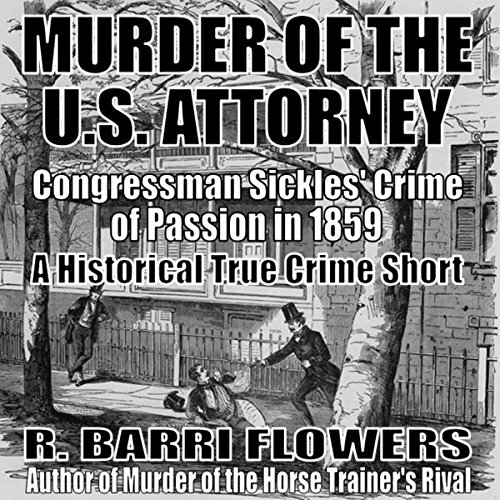 Well written and researched account of Daniel Edgar Sickles crime of passion shooting of his wife's lover, Philip Barton Key II, a U.S. Attorney and son of Francis Scott Key, whom Sickles gunned down in broad daylight in Lafayette Square. 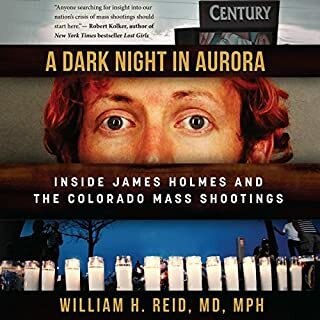 This short is perfect for someone like me that doesn't want to read a 400 page book on the topic, but wants more than the usual single sentence or footnote about the shooting that is all I can get from a history book on the Civil War and the events leading up to it. I don't know why there aren't more short reads like this. It was perfect. Answered all my questions but didn't go on and on with a lot of filler. The author, R. Barri Flowers, has come up with a brilliant idea. Wendy Almeida did a great job of narration. She was clear, understandable and her pace was excellent. I Immediately looked to see what other books she narrates. For a Civil War buff like me this book filled an empty place in the story of Sickles, who was wounded at the Battle of Gettysburg and received the Medal of Honor. I'm more interested in the stories of the people than I am in the tactics of each battle. This is a fascinating story with long term legal influence, I'm glad I read it. 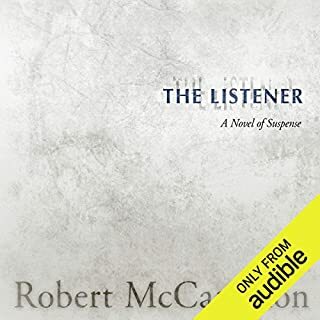 I normally like LONG reads, but when it comes to learning more about an historical event such as the shooting death of US Attorney Philip Barton Key II in 1859, this audiobook is perfect. It's a subject I don't think I could listen to for 11-12 hours, but in an hour or two, it's perfect! It's like watching a documentary on a subject you find interesting. 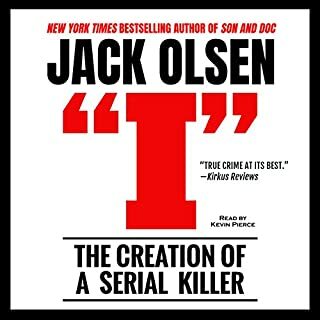 I had not heard of this crime story before, and it was a fascinating listen! I love R. Barri Flowers writing and attention to detail, she really paints a picture with words. The narration was beautifully done also. I will most definitely be listening to more of these from R. Barri Flowers, loved it! !